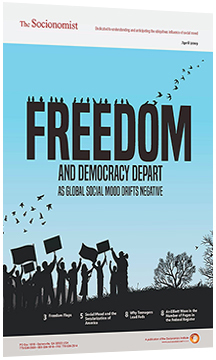 In The Wave Principle of Human Social Behavior, Robert Prechter said that a rising negative social mood appears to correlate with a collective increase in discord, fear, depression, malevolence and destructiveness. These manifestations are on display in Venezuela, where negative mood has driven economic decline, crime, social unrest and political upheaval. Chuck Thompson looks at Venezuela’s plight in the February 2017 issue of The Socionomist. Following are excerpts from his article.